Some time ago Velo magazine published an interesting article on the merits of various chain lubricants. 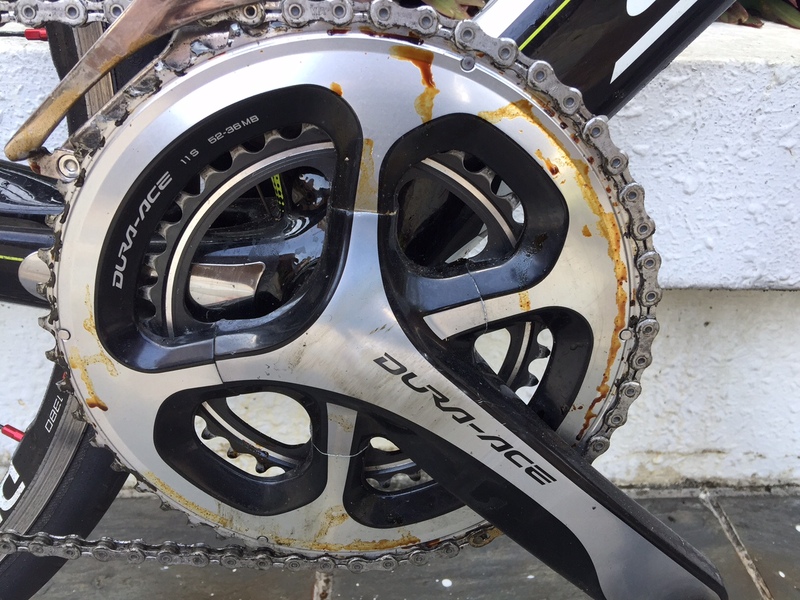 This is something of an arcane science but in the interests of extracting every single wheel-sucking watt of performance from my ageing pins, I was keen to try and put into practice some of its recommendations. The tests that Velo commissioned tried to answer one simple question…which chain lube makes you fastest on race day? In summary, there is a plethora of lubricants available and they are generally classified into dry, light, heavy, greasy or sprays. No doubt some sprays are light and some greasy stuff is heavy, etc (I’m sure the available literature on lubricants includes some Ph.D work on exactly how a lubricant is classified) but for most of us weekend warriors, we just need a simple solution that is relatively easy to apply, stops the squeaking and minimises frictional losses in the transmission system (that’s an engineer’s techo-jargon for ‘bike chain’). After Velo put some 30 different products through their paces on a test rig that involved whirling wheels, strain gauges and a digital output – the whole thing apparently being accurate to 0.02 watt (in other words the difference between a sub-3:00 minute SBV or not) – a clear winner emerged. For all the science that lube boffins have come up with, the No. 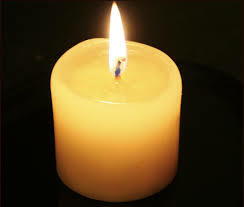 1 performing chain lubricant is…paraffin wax. Yes, paraffin wax. The kind of stuff that keeps the place illuminated if you suffer from ‘brownouts’ and is sometimes applied to surfboards and as a protective coating to hard cheeses. 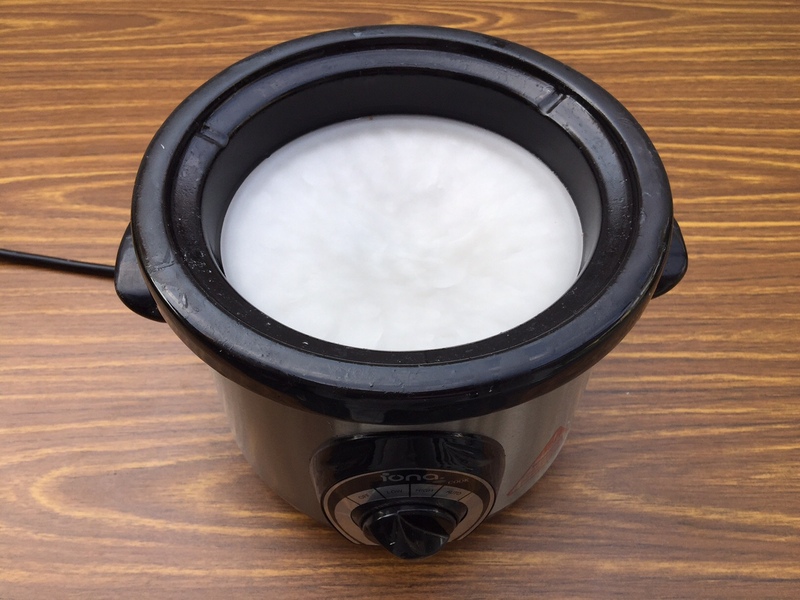 In a test for efficiency, paraffin wax vanquished all other chain lubes tested, besting its closest rival by 0.24 watts and the worst by over 3.0 watts in ideal conditions. In a wet, dirty environment its performance was even more impressive with a 6.0-watt improvement over the worst performing alternative. For serious amateurs whose credit cards are maxed out on bike debt, paraffin wax is perhaps the cheapest way to gain speed. Having said all of that, there are a couple of drawbacks. Firstly, the application process is tedious. It involves a thorough cleaning of the chain in a light solvent, followed by immersion in melted wax for a few minutes. The saving grace is that you can do a batch of chains to last a few months before wheeling out the crock pot again. But how long does it last? In my experience, we’re talking something in the order of 500km of efficient, super-dry and super-clean operation. However, when the lubricating properties of the wax finally run out, you’ll know about it in an instant. One moment silent, smooth action, the next, every roller in the chain is squeaking its lungs out. That brings me to the second – and more tasty – part of this article. That is exactly that happened to me a couple of months ago…I set off for Food Canopy one Saturday morning in quiet contemplation and arrived to the cacophonus discord of dry metal-on-metal rubbing. 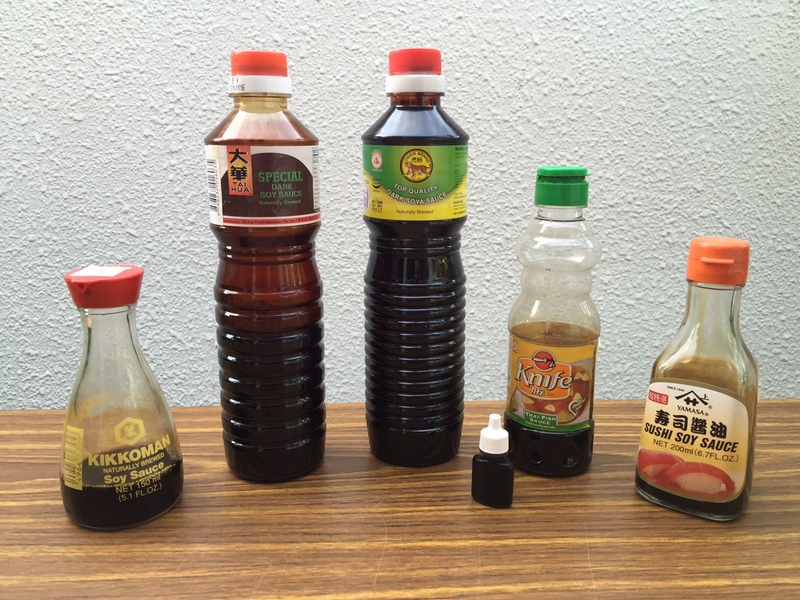 Don’t be fooled…only the one in the middle (‘Tiger’ brand Dark Soya Sauce) is the real deal. The tiny bottle with the white cap is my emergency back up kept under the saddle. Desperate for a solution, I looked around for some cooking oil without any success. What I did find however, was some thick black soya sauce on one of the stall counters…yes, the sort used in ‘char kway teow’ and sometimes on chicken rice. Not the light soy, but the thick, viscous, dark stuff. Once applied, the sauce sticks like the proverbial ‘sh…’ and quiet harmony is once again restored. To be fair, it’s early days yet and I don’t know what the frictional losses of dark sauce are but so far, the soya solution seems to be working well albeit on a paraffin-waxed chain that has well-exceeded 500km. The next stage is to try it on a non-waxed chain to see how well it stacks up. – excess sauce can always be wiped off the chain with a slice of white bread and offered to your main competitor in the feed zone as an extra ‘Vegemite’ sandwich surplus to your needs. Dark soya sauce does however, have an obvious drawback which is that in wet riding conditions, it is soluble. The glib solution to this is not to ride in the rain but of course, that can’t always be avoided. For those interested in more detail and hard, scientific numbers, a copy of the original Velo article is appended in pdf format. Steven, This is just crazy enough to be worth trying out!. Do you break the chain and install a new connecting link each time or do it on the bike somehow?